Wood Ducks are reasonably common on the small ponds at Cedar Creek during the breeding season. Their nesting success has usually not been very good, since from 1976-95, the only broods Howitz found were two in 1985, four in 1986, two in 1987, one in 1988, two in 1989, and one in 1990. 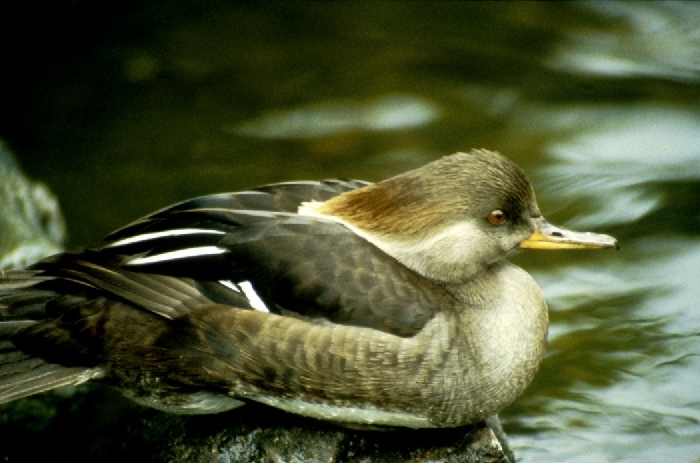 The only other records of broods are one in 1974 and one in 1984. 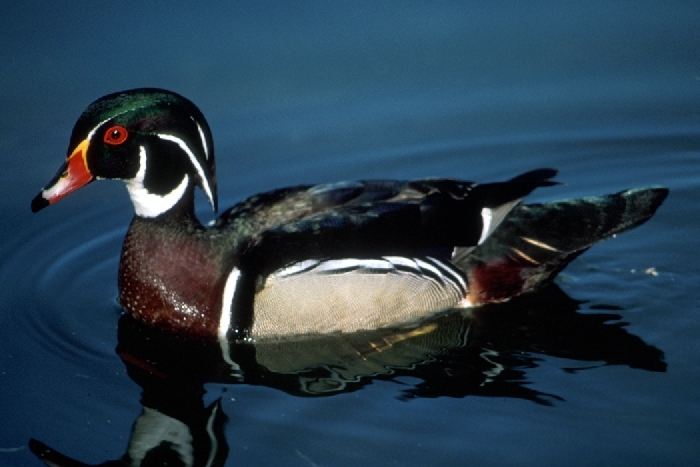 In some years Wood Ducks are abundant on ponds at Cedar Creek during the fall migration. 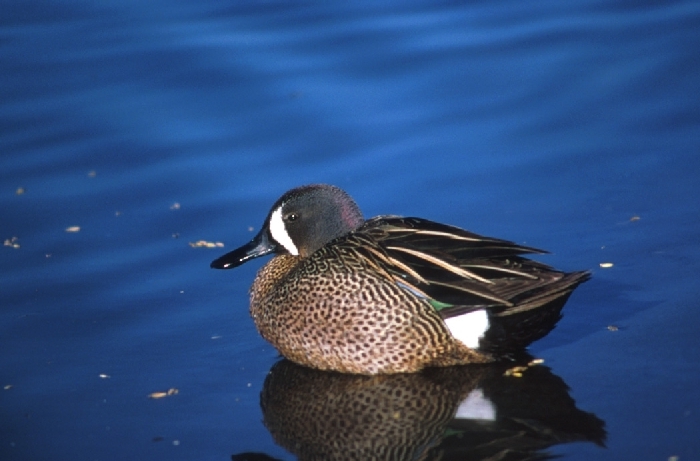 Green-winged Teal are fairly common migrants at Cedar Creek on Cedar Bog and Fish Lakes. 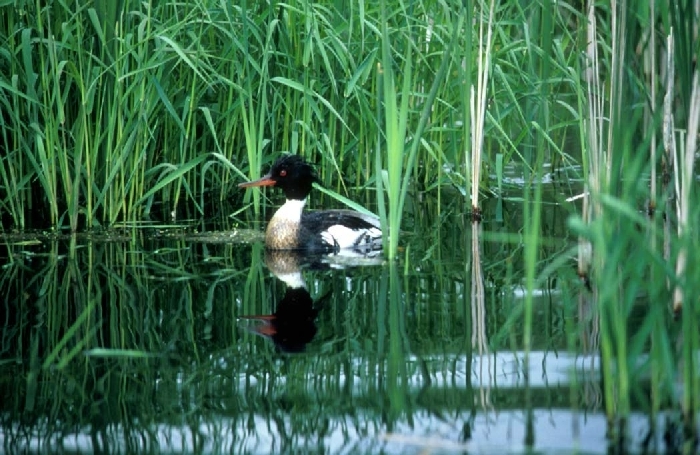 A pair was present in a swamp adjacent to the area, just south of 26 and east of East Bethel Boulevard, during the breeding season in 1986, but did not nest successfully. 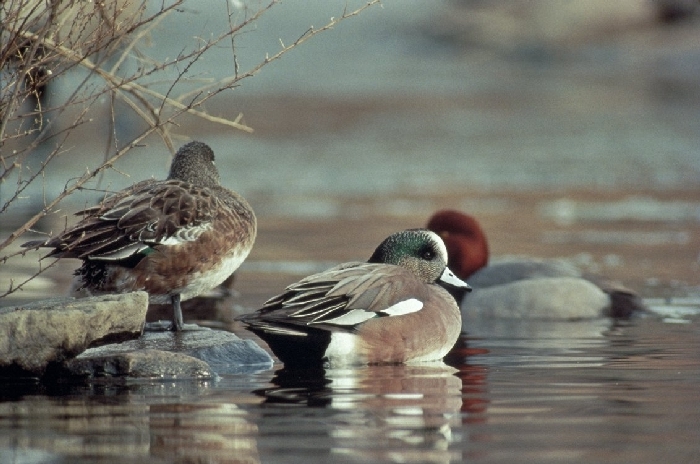 A pair of Green-winged Teal wintered on the open water at Martin Lake in 1994-95. 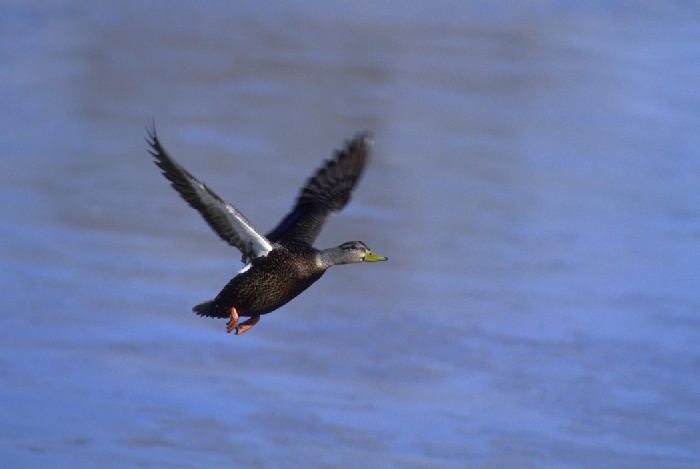 Black Ducks are rare migrants at Cedar Creek (and may be conspecific with mallards (Auk 103: 701-709, 1986)). 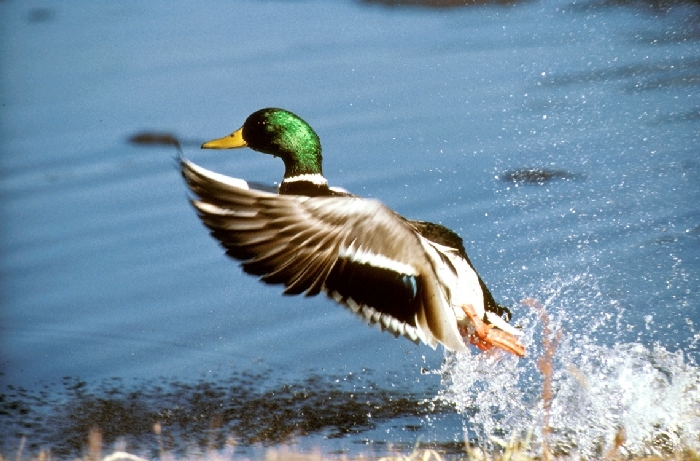 Mallards nest near many of the ponds at Cedar Creek, and are the most common breeding waterfowl there. Nesting success is apparently very low, since few broods are seen relative to the number of adults. 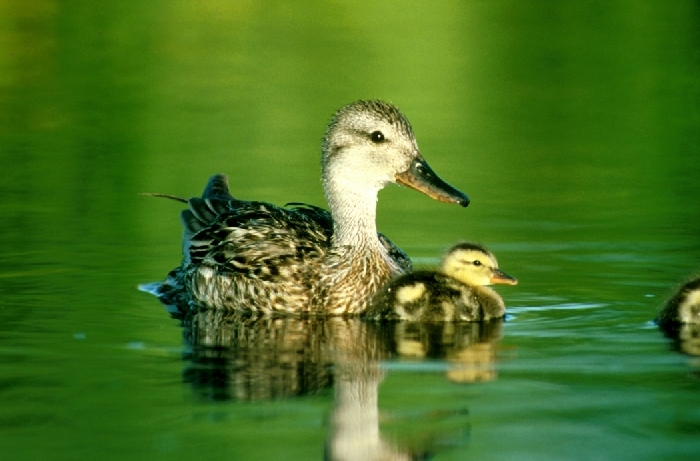 Two broods were east of the Peterson farm in 1986 and two broods were on Fish Lake in 1988 and 1989, and one in 1990. The only winter records are for birds on Cedar Creek north of the 26 bridge on December 16, 1989 and in the same spot in December 1993 and 1995. 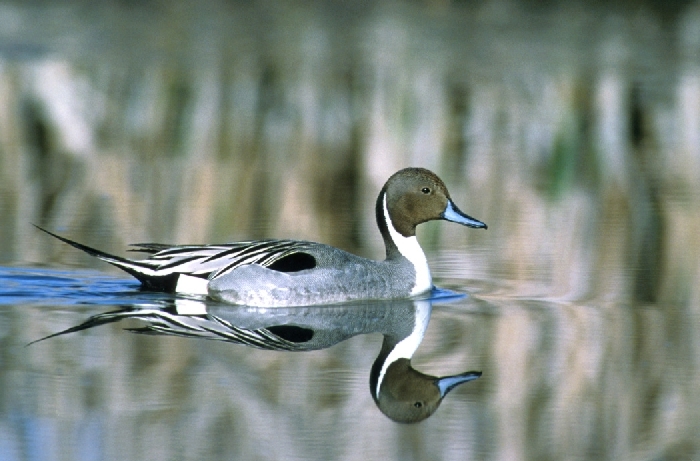 Pintails are rare migrants at Cedar Creek. Blue-winged Teal are reasonably common on small ponds at Cedar Creek during the breeding season, though breeding evidence is meager. A female laid 7 eggs in a nest along the western edge of the Allison Savannah woods in 1986, but later abandoned it. Shovelers are uncommon migrants at Cedar Creek. 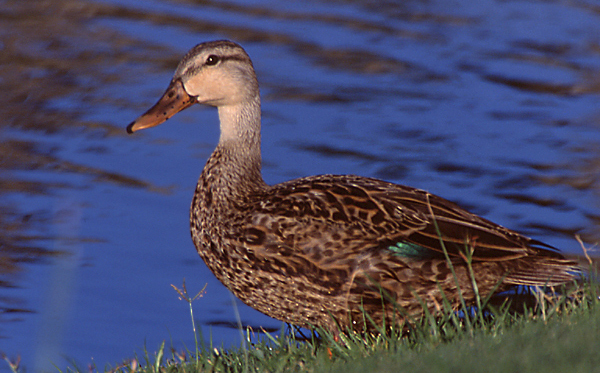 Gadwalls are uncommon to rare migrants at Cedar Creek. Wigeons are uncommon migrants at Cedar Creek. 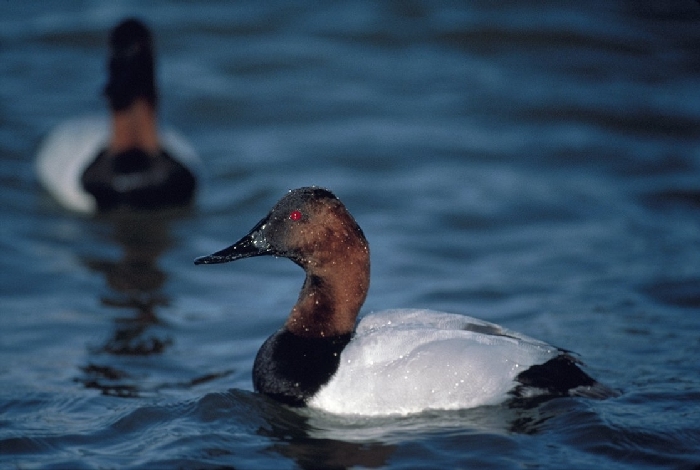 Canvasbacks are uncommon on Fish Lake during migration. 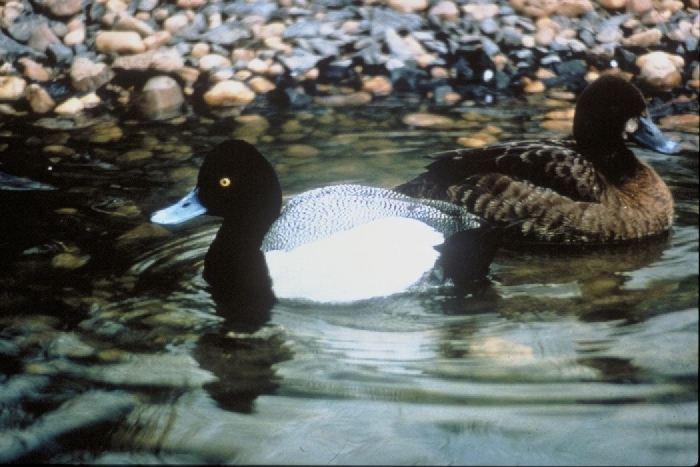 Lesser Scaup are probably the most common duck at Cedar Creek during migration. Large numbers of them use Fish Lake as a stopover. 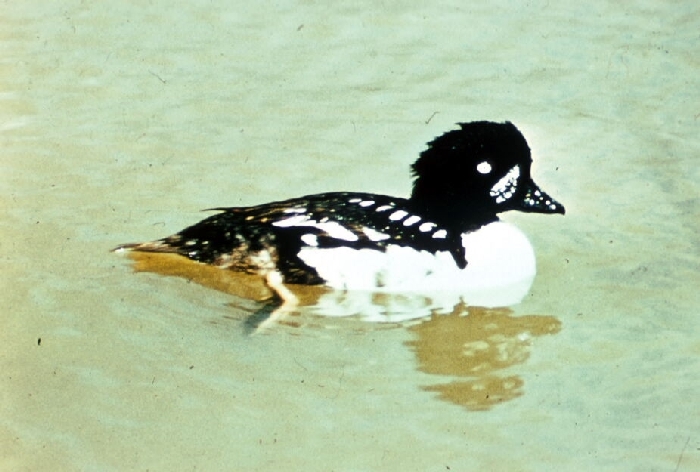 Goldeneyes are among the earliest ducks to return to the Cedar Creek area in the spring. They have been seen on Cedar Creek and Fish Lake. Buffleheads are common on Fish and Cedar Bog Lakes and on ponds at Cedar Creek during migration. Hooded Mergansers are common migrants on Cedar Creek ponds and lakes. 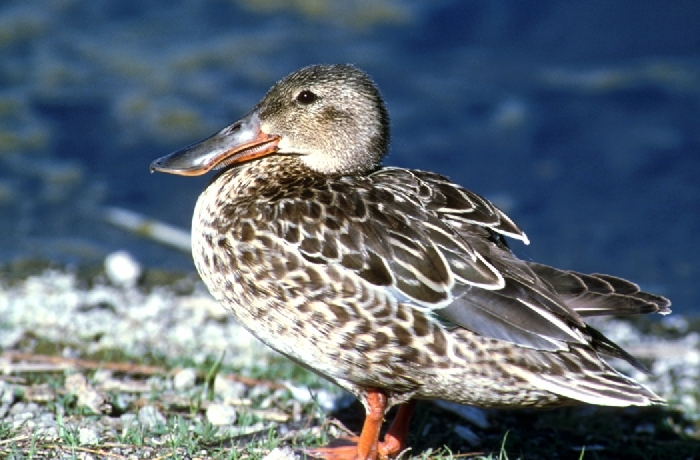 Though there are no summer records, these secretive ducks could be breeding at Cedar Creek without anyone noticing. 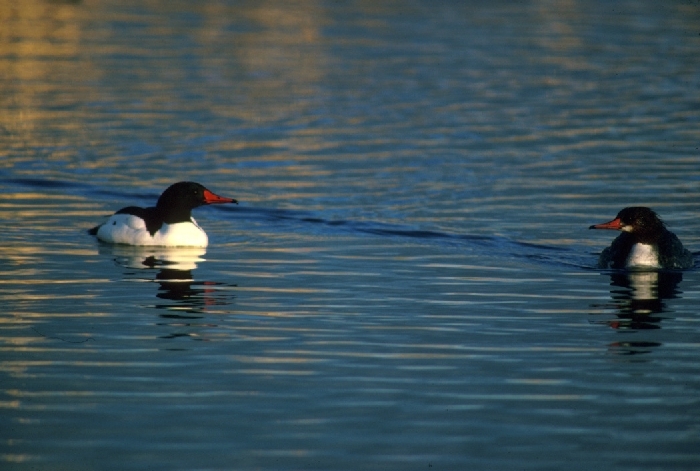 Common Mergansers visit Fish Lake before the ice is completely out in the spring. Red-breasted Mergansers also visit Fish Lake as the ice is withdrawing from the lake. 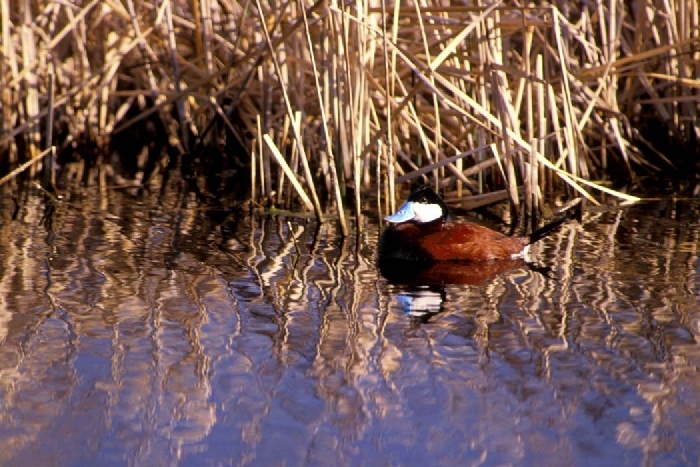 Ruddy Ducks are rare at Cedar Creek.